Merry Christmas and a Happy new year!!! 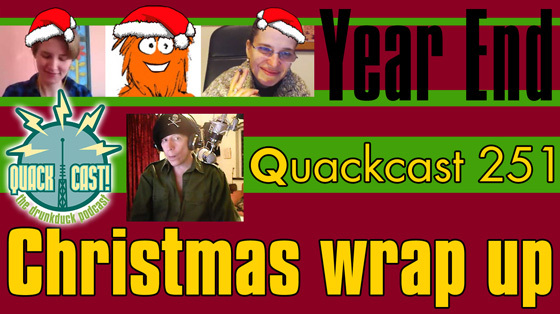 For Quackcast 251 we have a year end wrap-up episode. 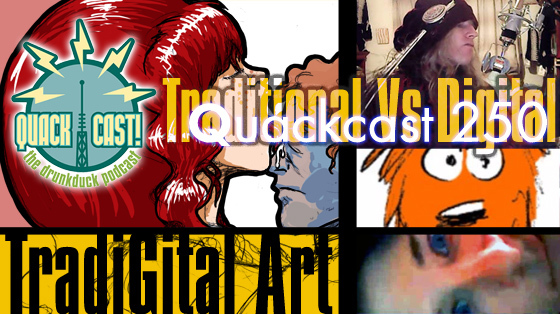 Tantz Aerine and Pitface join Banes and I to talk about the year as it was, what happened with DD, comicing, and what movies we're looking forward too!- Star Wa… ZOOLANDER! Yes, Zoolander 2, it better not be a disappointment. There's not really a difference here, art is art, your tools and media don't really matter, what's important is how its meant to be seen and what it's meant to be used for. But, people do like to discuss this though and so do we and so we did! All too often we try to give out GOOD drawing advice and USEFUL tips on how to do art. 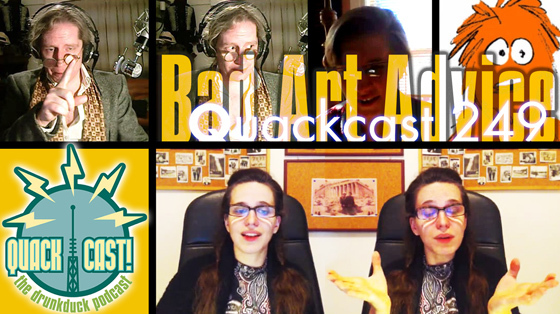 Well that all changes here: this time professors Ozoneocean, Tantz Aerine, Banes, and Pitface (our throbbing Head of department), come together to tell you the very worst ways to produce artwork, with the help of a few of our contributors. The advice will help you to become the most horrible artist ever. 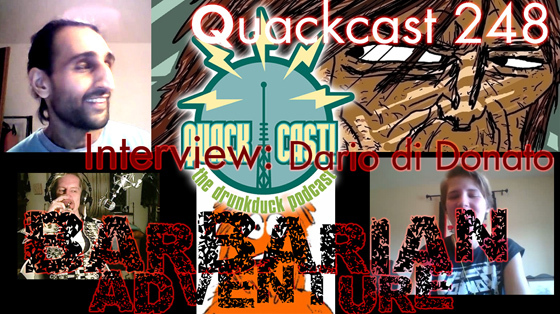 Today we interview Dario Di Donato, the creator of the great webcomic Barbarian Adventure!